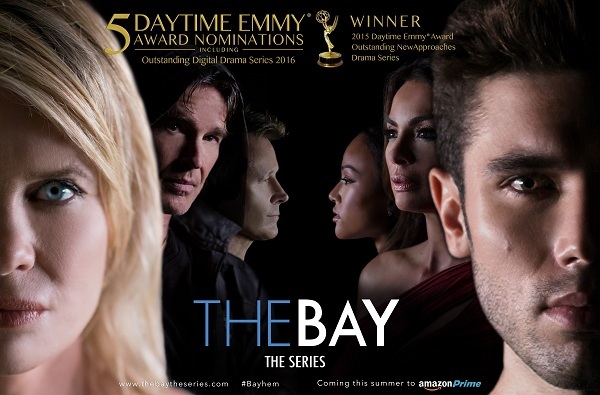 With plans to shoot the 2nd half of the latter season, The Bay goes into production on six brand new episodes in May. In the vein of Dicken’s “A Christmas Carol,” Mayor Jack Madison (Nicolas Coster) will be taken on a journey where he’ll reluctantly face his past transgressions. Joining the cast in the role of the mayor’s ex-wife and son John Blackwell’s (Ronn Moss) late mother is Carolyn Hennesy (General Hospital, True Blood, Revenge). Brandon Beemer (Days of our Lives) will fill the role of a younger John Blackwell as Jensen Buchanan (The Young and the Restless, Another World) undertakes the role of Melody Garrett circa 1986. Marissa Tait (The Bold and the Beautiful) joins the cast as Young Katherine Blackwell while Eric Martsolf and Abby Wathen return in their roles as Young Lee and Young Sara. Additional casting news will be released prior to production. Good news good news! !! You guys have hit the jackpot.